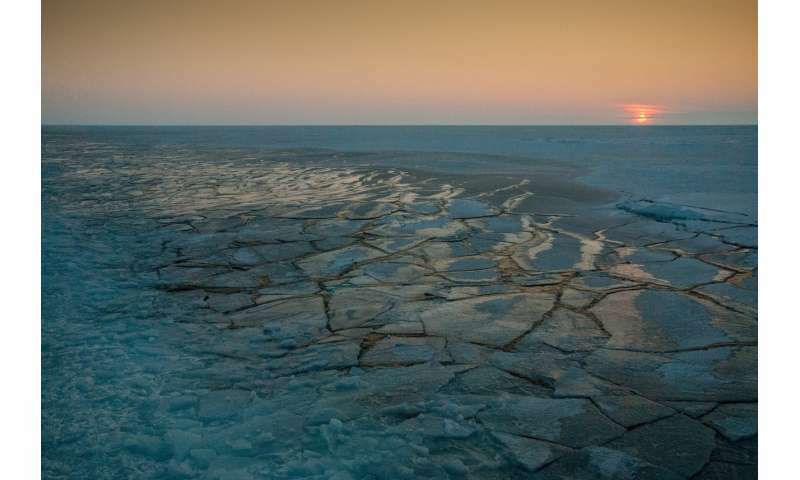 "This increase in the amount of sea ice growing in winter doesn't overcome the large increase in melting we've observed in recent decades," said Alek Petty, a sea ice scientist at NASA's Goddard Space Flight Center in Greenbelt, Maryland, and lead author of the study. "Overall, thickness is decreasing. Arctic sea ice is still very much in decline across all seasons and is projected to continue its decline over the coming decades. " Petty and his team used climate models and observations of sea ice thickness from the European Space Agency's CryoSat-2 satellite to explore sea ice growth variability across the Arctic. The climate model results compared well both with CryoSat-2's measurements and the results of another commonly used Arctic sea ice model, giving the authors confidence in the climate model's ability to capture Arctic sea ice variability. Nonetheless, the increased rate of sea ice thickening in winter has other implications. As ice forms at the ocean surface, it releases a lot of the salty and dense water from which it originated, which sinks and increases the mixing of waters in the upper ocean. The more ice formation that takes place, the more mixing we expect to see in the upper ocean. Increases in this ice formation and mixing during winter may help mitigate the strong freshening of the Arctic Ocean's surface waters that has been observed in recent decades due to increased summer melt. Petty's projections found that, by the middle of the century, the strong increases in atmospheric and oceanic temperatures will outweigh the mechanism that allows ice to regrow faster, and the Arctic sea ice cover will decline further. The study predicted that the switch will happen once the sea ice is less than 1.6 feet thick at the beginning of winter, or its concentration -the percentage of an area that is covered in sea ice- is less than 50 percent. "This does not mean that the ice cover is recovering, though. Just delaying its demise." Fortune-tellers are now employed in the Climate Change game? No. These predictions are as a result of something called "science" that is done by people a lot smarter than you or I and who that have spent YEARS doing intensive research on it thus, unsurprisingly, know many things about it that you and I don't. So who's predictions we should give greater trust to by default? -the scientist, you know, as in the people that actually know something about what they are talking about? -or the usual loonies that don't know the first thing about the science but have formed there own idiotically opposing opinions on it anyway with the WILDLY delusional arrogance that they mysteriously actually know better than the scientists? I assert it should be the former. but , but , 2018 is the HOTTEST yr ever !!! !